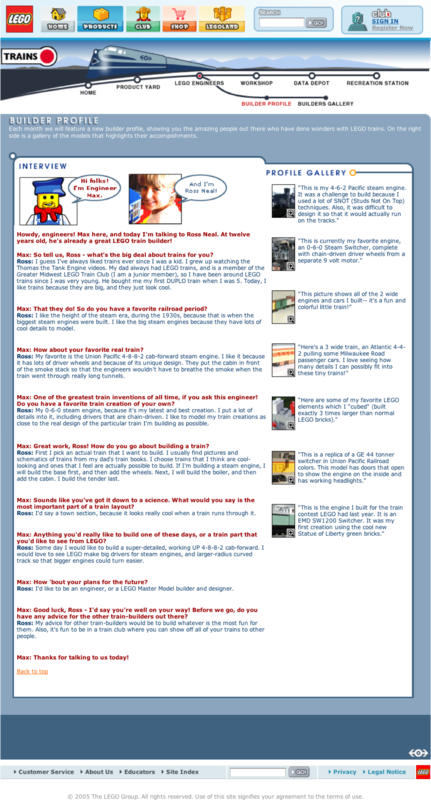 The Twin Cities LEGO® Train Club was founded in 2001 by John Neal, and his son, Ross. We have displayed the TCLTC layout in cities around the country, including Chicago, Detroit, Cincinnati, and Philadelphia. In 2011, the TCLTC layout was offered a permanent display home within the friendly confines of Brickmania Toyworks, so the layout doesn’t travel anymore. It can be seen during the Brickmania Open house events every month. Additionally, we create smaller, themed layouts and programs for various events around Minneapolis throughout the year. The TCLTC is neither affiliated nor endorsed by The LEGO Company. My sons saw an excerpt about the Lego train layout in St. Paul, MN on their I Love Toy Trains video. They are so excited about this, and I was wondering if there were still places in Minneapolis/St. Paul to see your awesome layouts? I realize the video is a bit dated, but wanted to check! Thanks for the kind words. We will be having open houses again, beginning around Thanksgiving, all throughout December, so check back here for details, as they come.